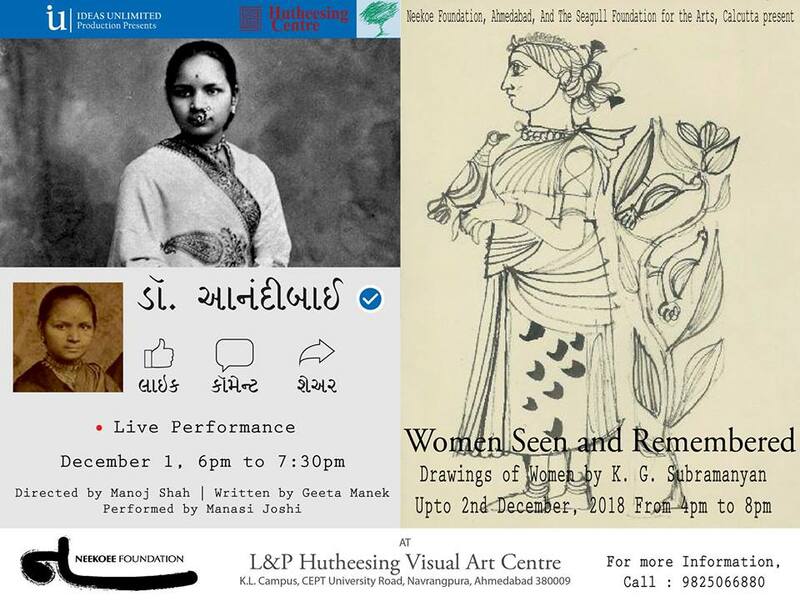 L & P Hutheesing Visual Art Centre, K.L.Campus, CEPT University, Gujarat University Road, Navrangpura, Ahmedabad, India 380009. Anandibai Joshi, India’s first female physician, was a trailblazer. In spite of being married to a man twenty years elder to her, who was also a hypocrite showing off his liberal attitude, Anandibai defied the prevailing patriarchal conventions and set sail to America to become the first Indian female MD physician in the year 1886. It’s been 150 years since then. Have things really changed? Is she free to think of her own desires, wishes and needs? Is she free from her constant need of validation and approval from the men in her life? catch this wonderful play on 1st December and find the answers.